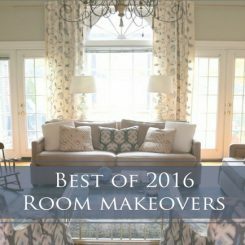 I noticed a number of things that really make this interior cohesive, even though multiple designers and design firms were involved. And, of course, I’m going to share those observations with you! Dark wood floors and a dining table crafted with reclaimed wood from Nashville’s Municipal Auditorium (stop the presses – oh my goodness, I’m having a flashback to the ONLY venue for rock-n-roll in Nashville, and where I saw Def Leppard TWICE) ground all the white walls in the open concept area. 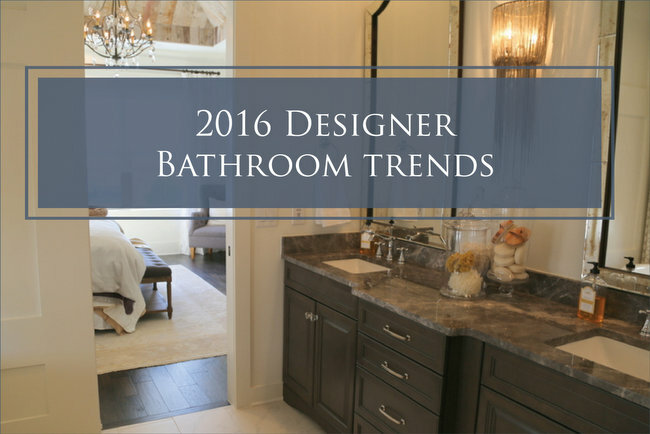 Dark wood (browns), weathered wood (grays), marble, and quartz were used throughout the home, giving you a sense of relaxed formality. 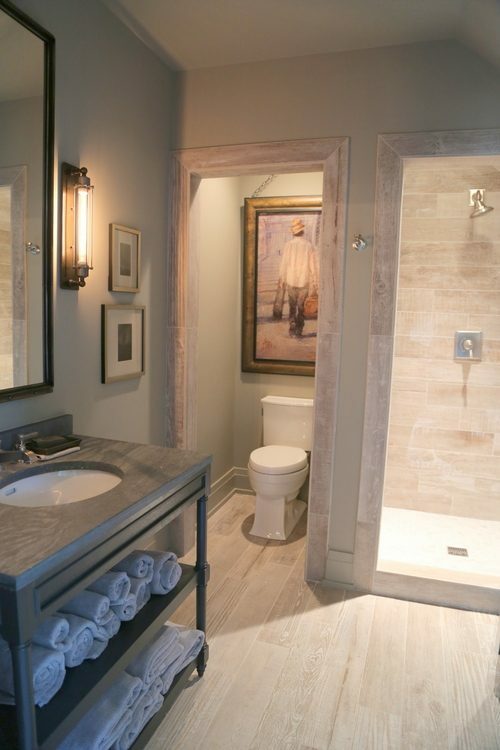 Lots of texture and layering, and NO pops of color in this design. 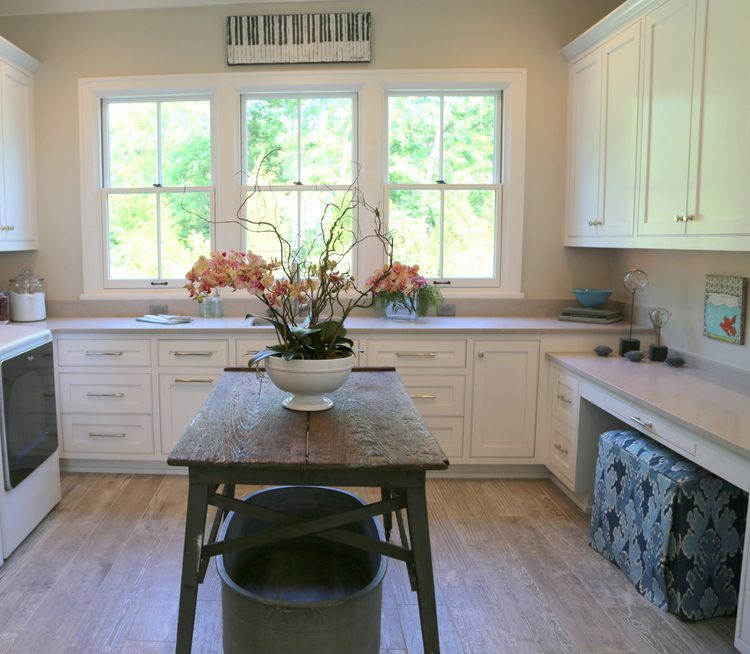 The kitchen and three of the baths in the home are primarily WHITE, which makes it all feel clean and fresh. 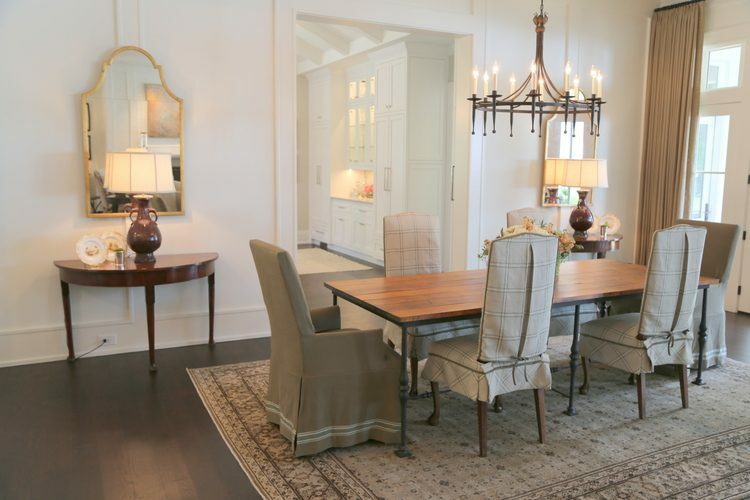 In case you haven’t heard, it’s of the utmost taste and style to mix your metals in today’s homes. 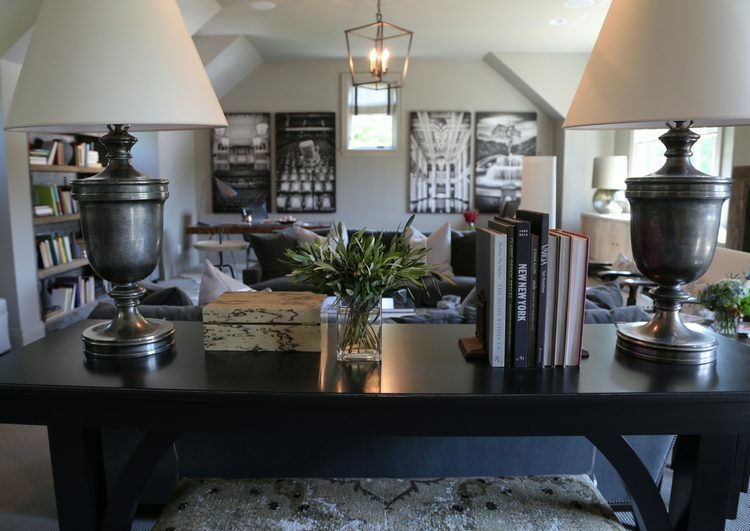 And that’s certainly what you’ll see in this designer showhouse. Iron is the dominant metal, which is timeless, humble, and masculine all at once. 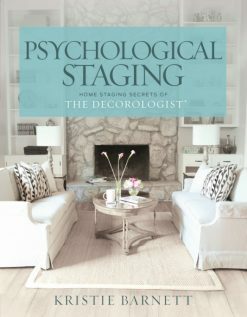 But the gold finishes that are scattered about the home warm up the cool grays and whites, and they add the feminine balance for the space. 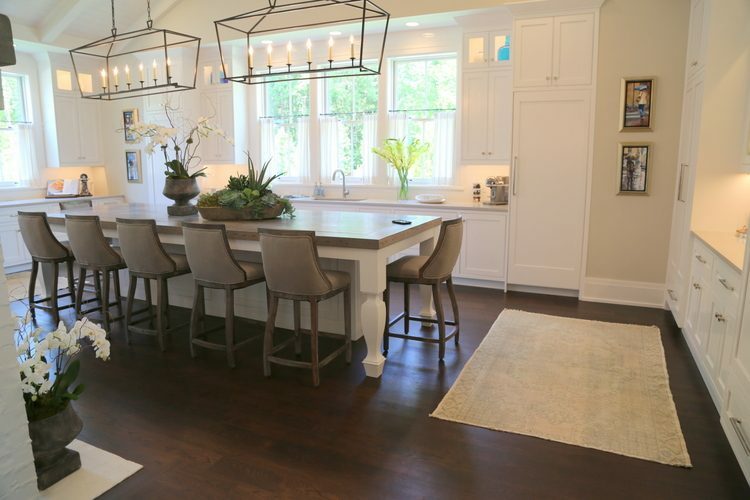 The kitchen and bathrooms feature polished nickel finishes, so that’s 3 metal finishes in a traditional, neutral home. 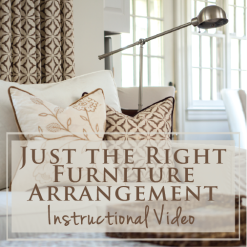 I tell clients that this can be done, and done well, but it always takes some convincing! 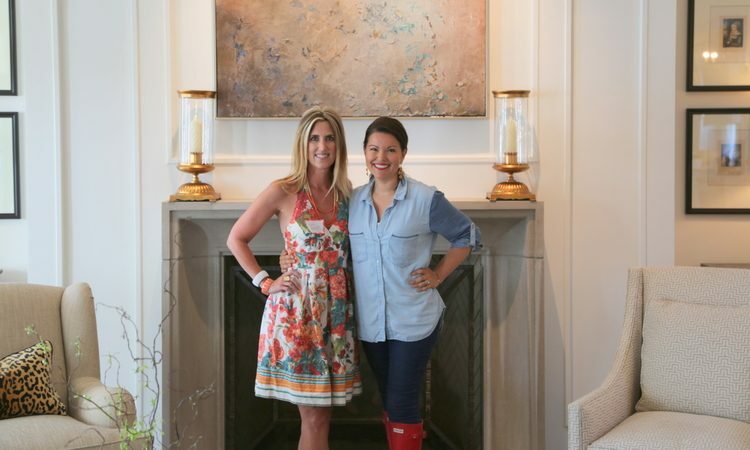 If the Nashville Symphony Showhouse can do it, YOU CAN DO IT. I couldn’t resist taking a selfie in this fabulous bathroom mirror! The countertop is Bianco Carrera marble. 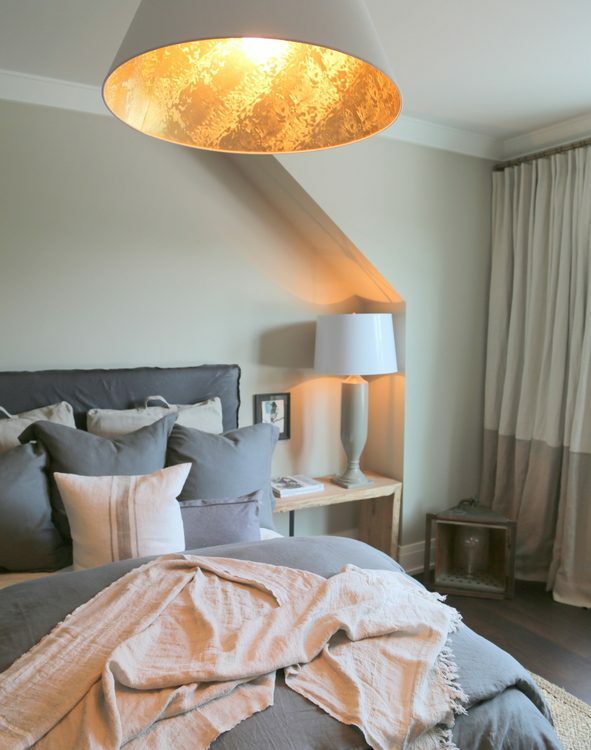 The master bedroom features a fabulous hanging light fixture that certainly makes a statement. 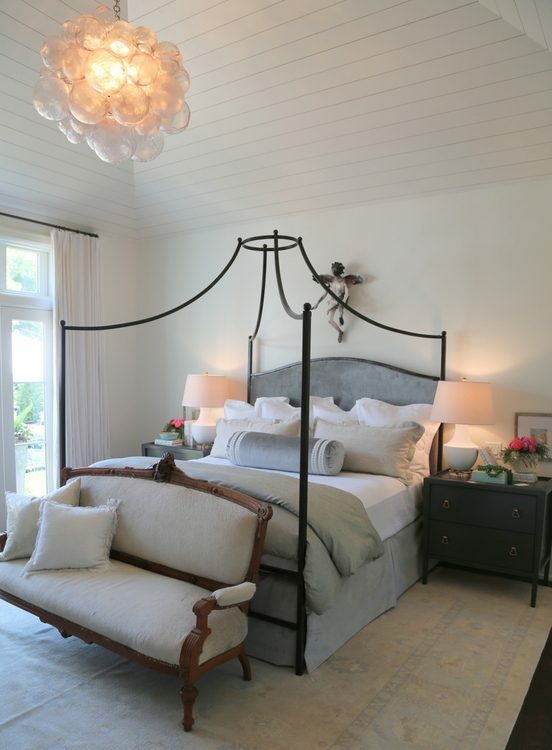 It’s a bit unexpected against the painted planked ceiling, and I love it. I’m a huge fan of symmetry. 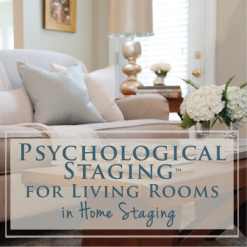 It’s the basis of Psychological Staging™, for goodness sake! This is the gorgeous feminine (and very symmetrical!) office at the top of the stairs, between the guest rooms. 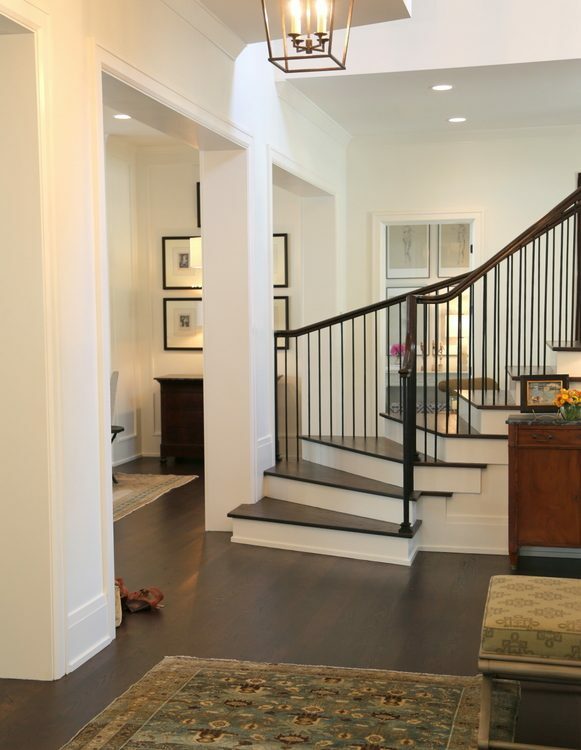 Symmetry in design makes you feel calm and at ease in a space. It also directs your eye to the architecture, as well as to the views beyond windows and openings. 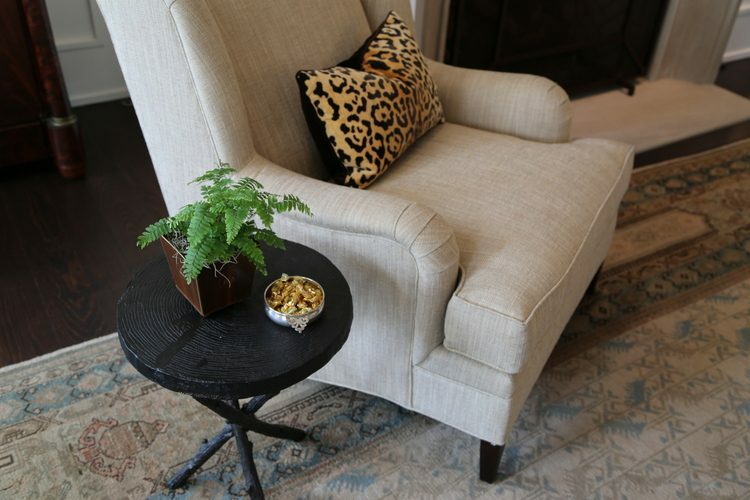 The most repeated design element I noticed in the Nashville Symphony ShowHouse was the ottoman or tiny table. The incredibly functional element was everywhere. 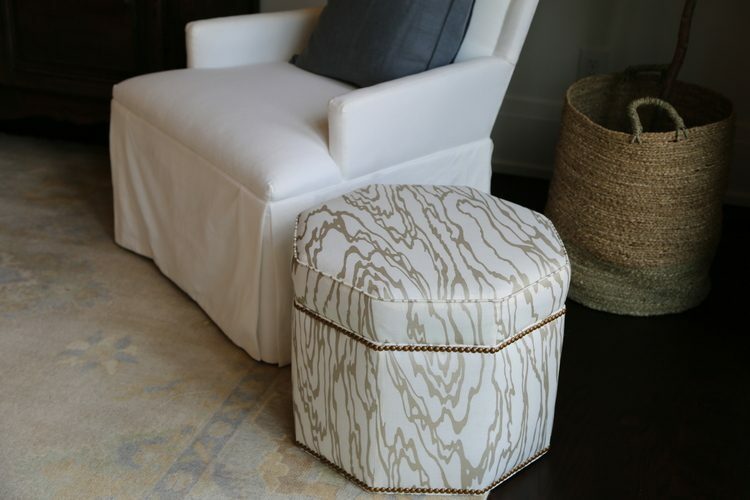 Ottomans are flexible seating options that can be tucked away when not needed. Tiny tables are a great spot for a cup of joe beside a chair. 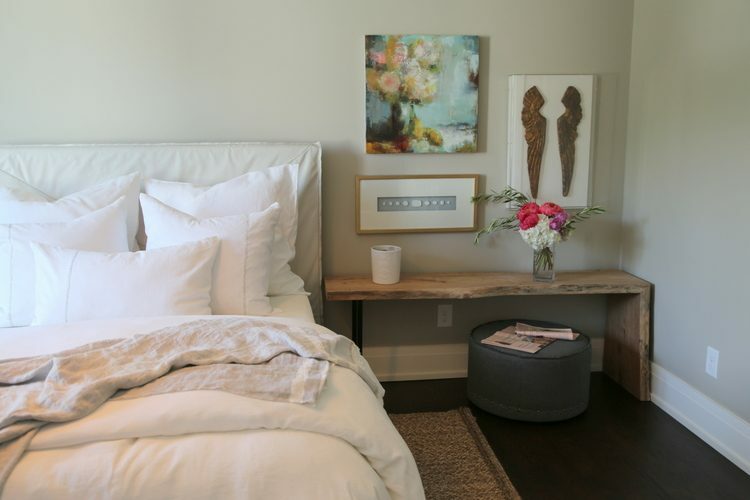 I loved how they used low wooden benches for bedside tables in the upstairs bedrooms. And of course, they tucked an ottoman beneath! 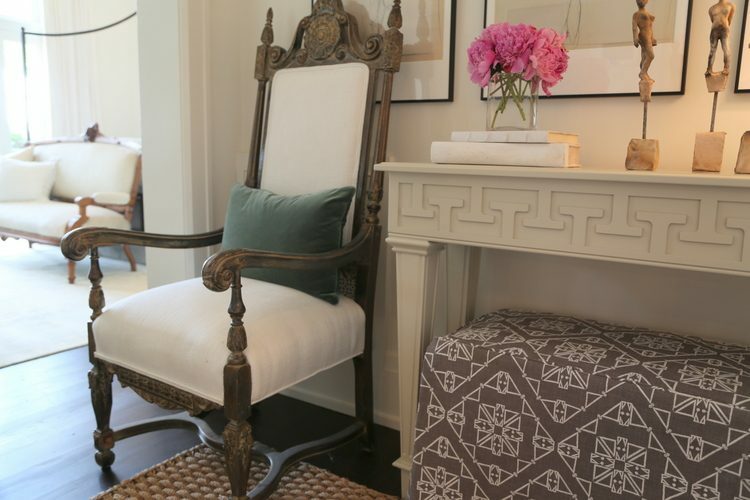 Here’s another ottoman tucked into the HUGE laundry room off the kitchen – a little desk spot if you care to check Facebook while waiting on the spin cycle. I’ve met Carmen on a couple of occasions, and she is always so sweet and helpful to those of us with a black thumb. 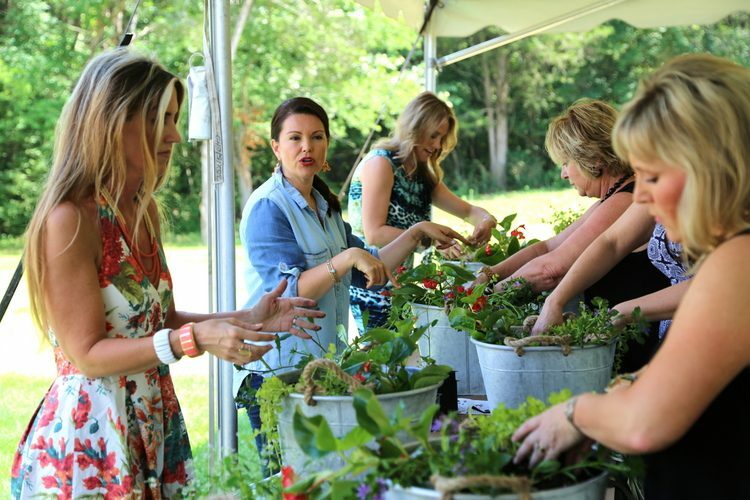 She gave us a hands-on tutorial for planting our very own container garden at the Garden Party! Her top tip for container gardening? Choose something tall, something thick, and something trailing, and plant in a triangle formation. This is what we planted in our container gardens: Blue Fan Scaevola, Diamond Frost Euphorbia, Dragon Wing Begonia, and Creeping Jenny. It’s all Greek to me, but I’m going to do my best to keep it alive on my front porch! 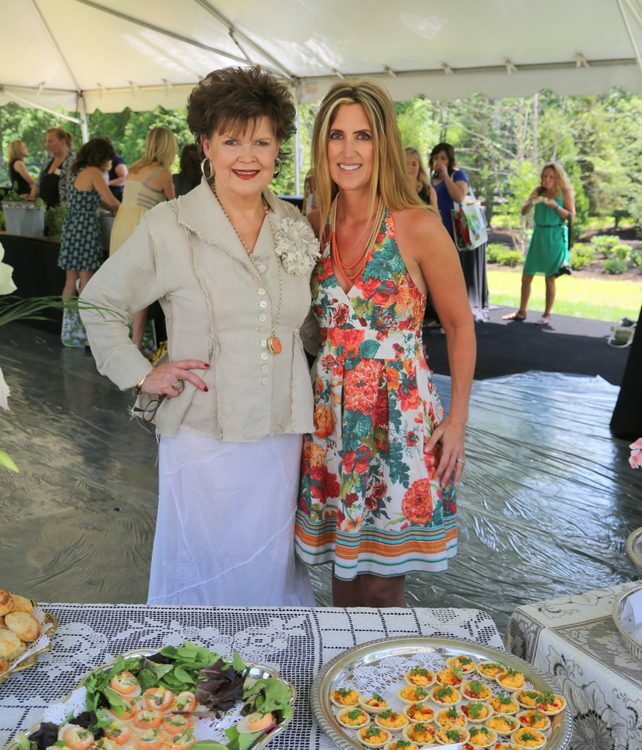 The party was catered by Miss Daisy’s Kitchen. Daisy King is a southern icon if there ever was one, and every proper southern lady owns at least one of her cookbooks! 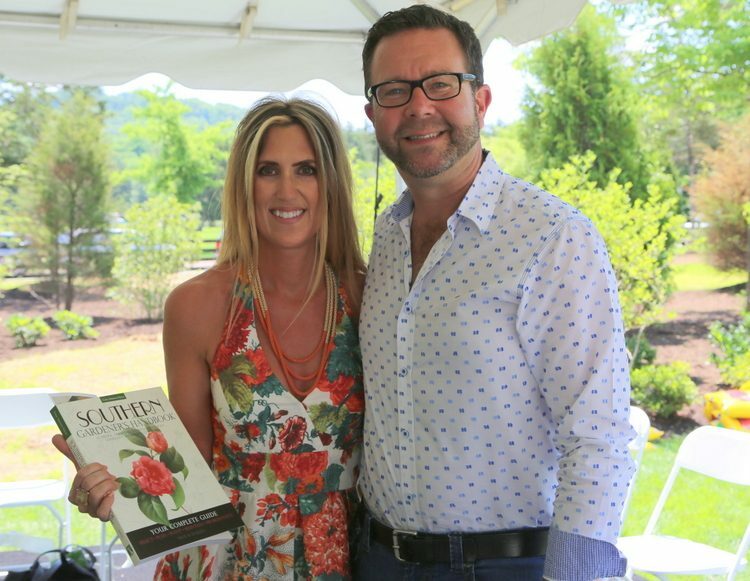 Troy B. Marden of PBS’s Volunteer Gardener was gracious enough to give the attendees signed copies of his beautiful book, Southern Gardener’s Handbook. 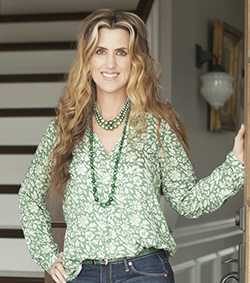 Troy will be at the ShowHouse on June 20th from 11-1 for a book signing onsite. 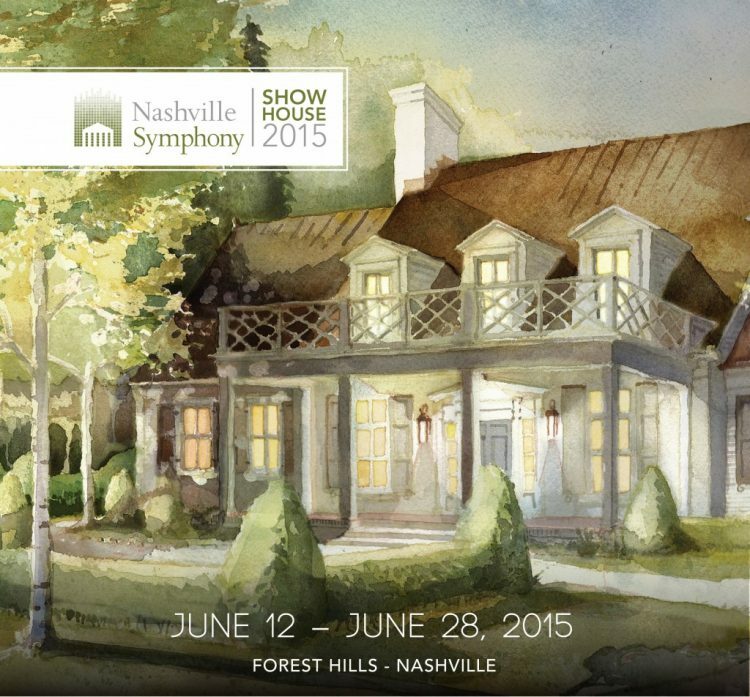 The Nashville Symphony ShowHouse is open to the public NOW through June 28, 2015. 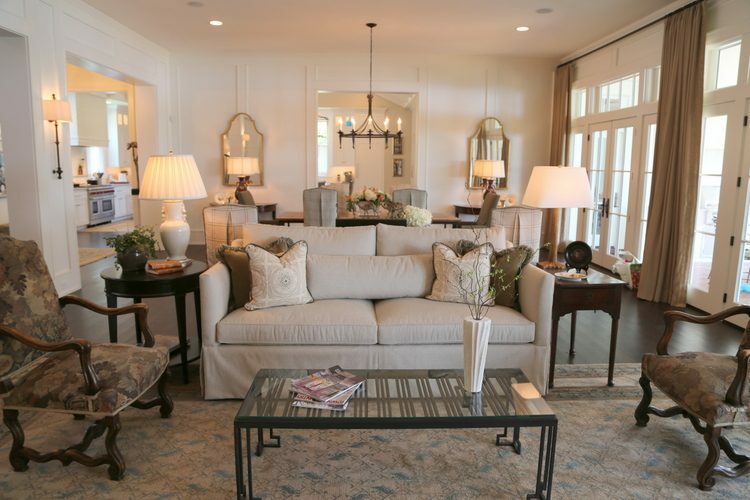 You don’t want to miss this special home tour presented by Castle Homes and benefiting The Nashville Symphony! The ShowHouse is open daily from 11 a.m. until 6 p.m., and admission is $15 per person. Find out more here. 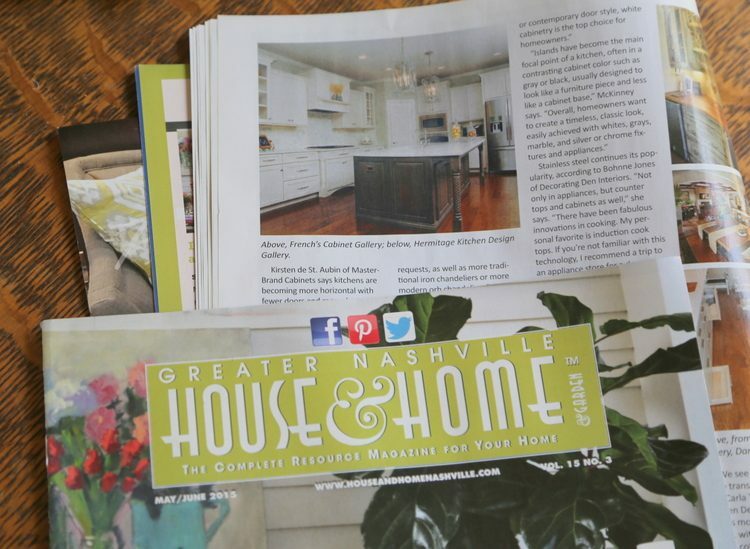 The Showhouse made the cover of the latest edition of Greater Nashville House and Home, which I picked up at the tour. While scanning through the magazine, I found that one of my recent kitchen designs had been featured inside. 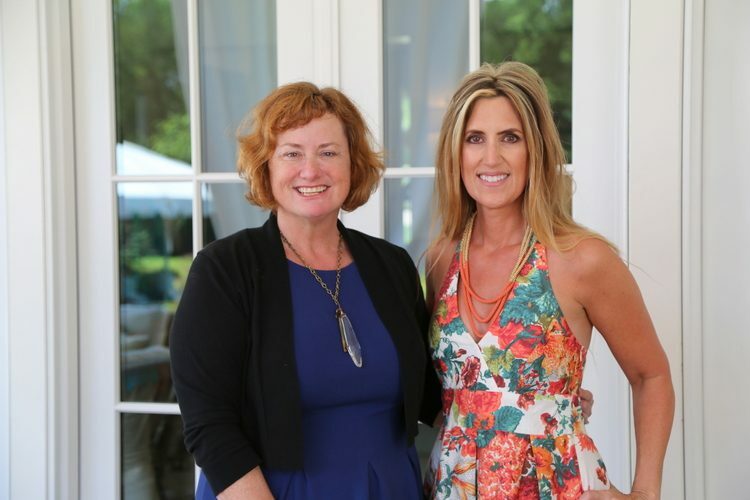 That was a happy surprise to finish off a lovely day at a Garden Party and ShowHouse tour! 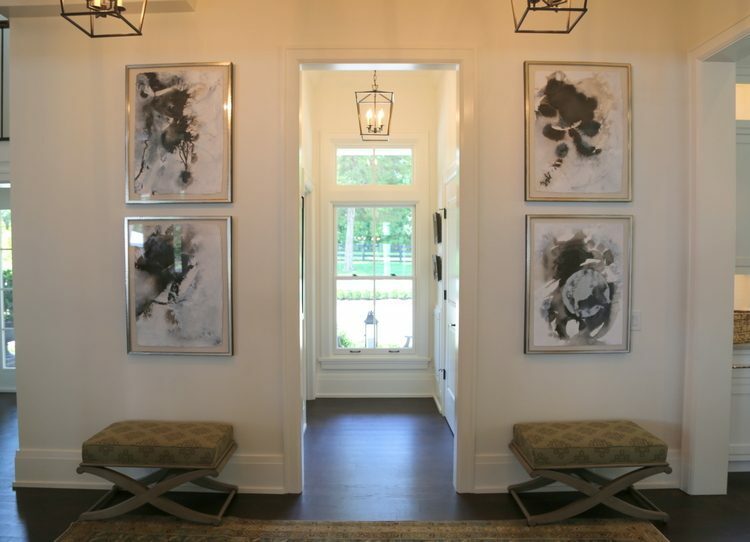 This entry was posted in Decor Addiction and tagged carmen-johnston, castle homes, decorologist, forest home media, home tour, interior design, miss daisy, nashville, nashville symphony showhouse, wade weissmann. Thanks for sharing this beautiful home Kristie. It’s over the top gorgeous! 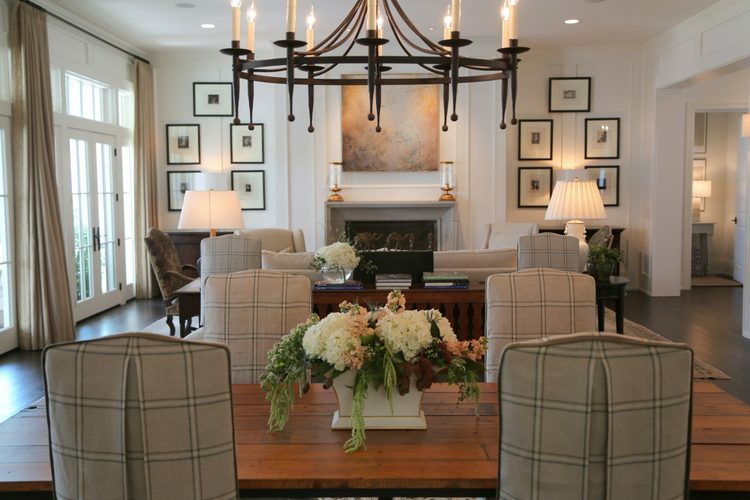 Love the color scheme, furnishings, staging….well everything. You look lovely. Sorry I couldn’t make it to the sneak peak. 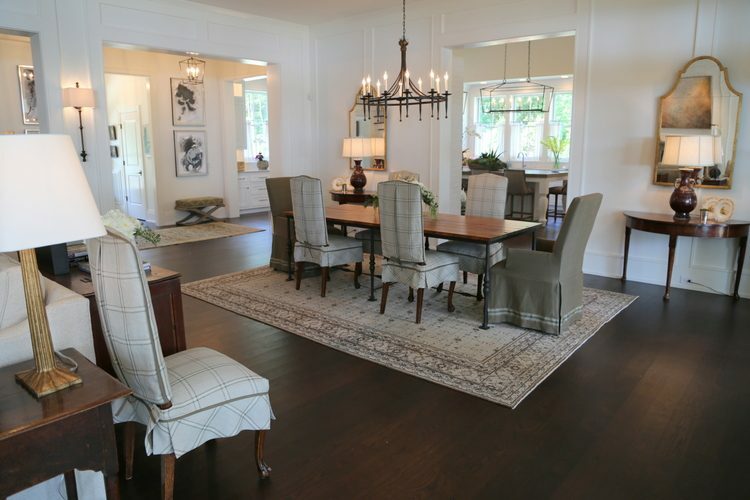 Beautiful, beautiful house – thank you for sharing. And your dress is nothing short of FABULOUS. Well aren’t you the mover and the shaker!?!? 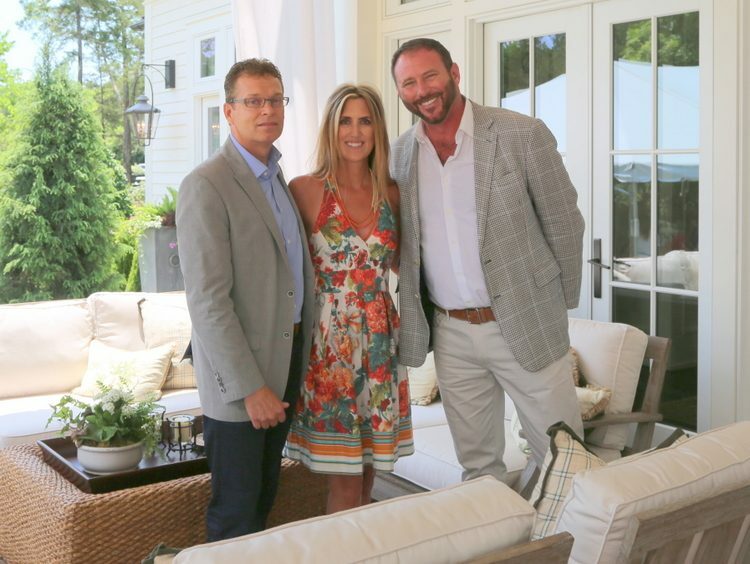 Looks like a great event and it’s certainly a beautiful house. 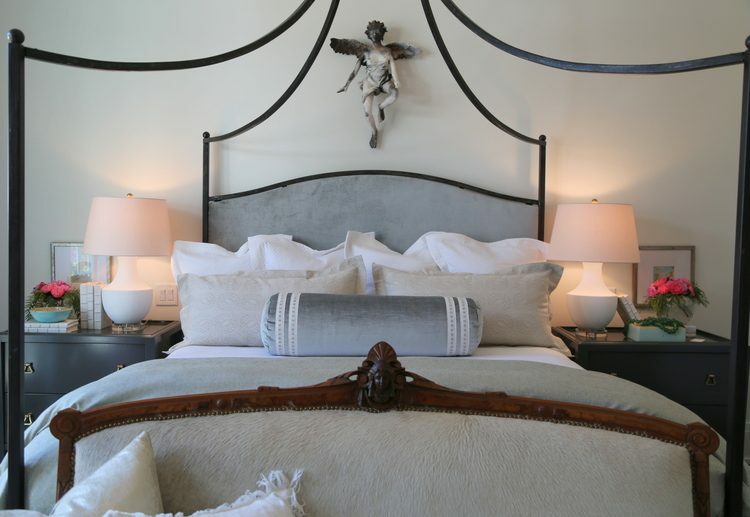 I love the calm neutral color scheme and symmetry. Thanks for sharing! You are so adorable Kristie! Beautiful home. 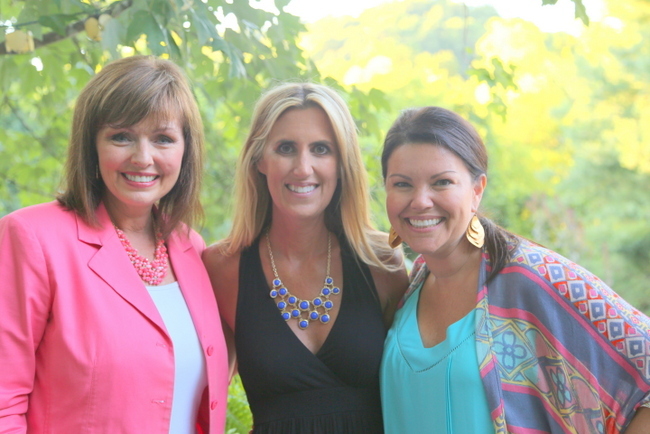 Thank you for taking us along for the sneak peek. What fun! Miss Daisy is adorable! I love her style. Now I have to get one of her cookbooks, because I’m a Southern Lady. Thank you, Pamela! Yes, you must get one of Miss Daisy’s cookbooks. Here’s a link to help you! Thank you, Veronica! 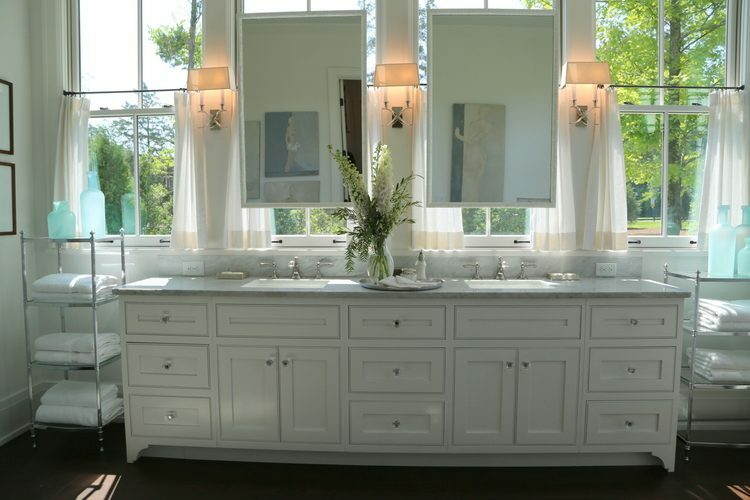 The sinks in front of the windows – brilliant! 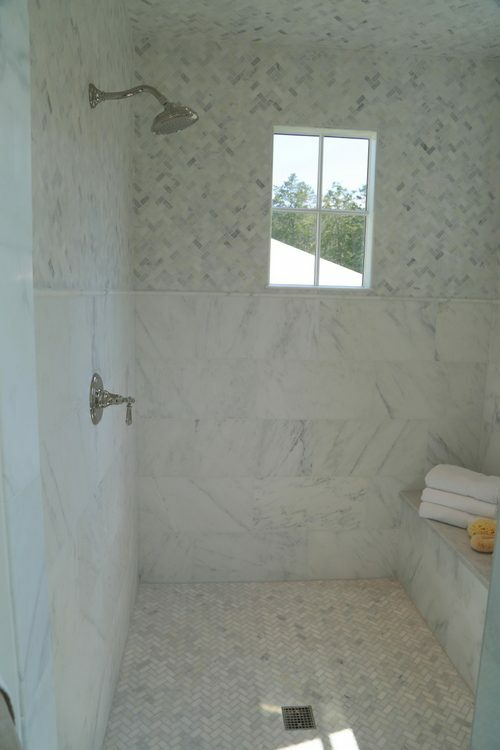 It gives the feeling that the master bathroom was added where there was a sunroom previously – so cool!!! yes and I don’t think that I will procrastinate getting ready in the morning in that beautiful bathroom or doing dishes in the kitchen looking out those windows. Thank you for this wonderful tour. The house is beautiful but my eyes crave a few pops of color. You on the other hand look like a model! Absolutely love your colorful dress. You are so sweet to say that, Linda! The house is lovely. 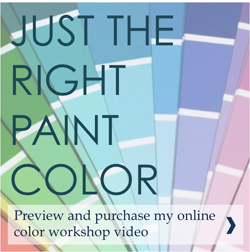 But I, like you, must have more color (maybe that’s why I wore such a bright dress!). 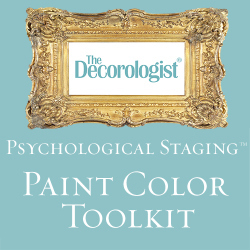 Kristie, I would love to see you do some blog posts on mixing metals in the home, especially in the kitchen and bath! Thanks for the idea – I will be sure to do that, Bethany!!! Also, I need to compliment you on your outfit and that selfie in the bathroom is remarkable! You go girl! Awww, you’re so sweet, Nancy! Those photos are amazing! Thanks for the great post, I can’t wait to see more. Beautiful home so charming . 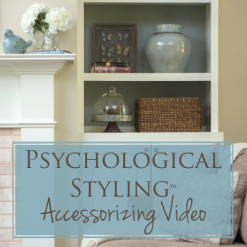 It reminds me a lot of my color scheme that I have in my home. Was wondering if you know what brand/style the bar stools are in the kitchen? I also want to compliment you on your dress… so lovely.